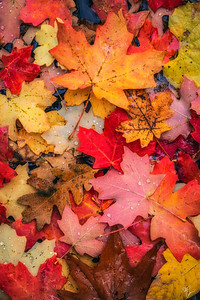 A collection of fine art nature and landscape photographs I have made throughout the years showcasing the dazzling colors of autumn in North America. The fiery autumn colors of a Chinese Pistachio tree backlit by the rising sun. I had so much fun photographing this spot that I spent two days working various angles and compositions of the trees. The bold and vibrant colors of Chinese Pistachio trees in peak autumn color are backlit by the morning sun. These trees reminded me of the Japanese maples famously photographed in the Portland Japanese Gardens, however these are much much larger trees. 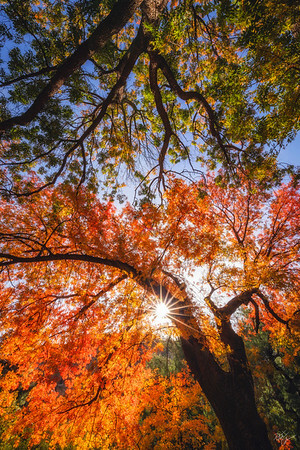 A medley of red and orange maple leaves and oaks pile up along a creek in the Sierra Ancha's in Arizona. 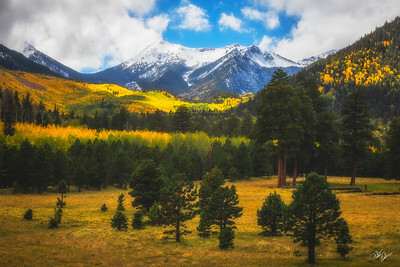 A scene many would associate more with Colorado than Arizona, but this is Arizona's mountain giant dressed autumn with a snowy cap, a rare instance. 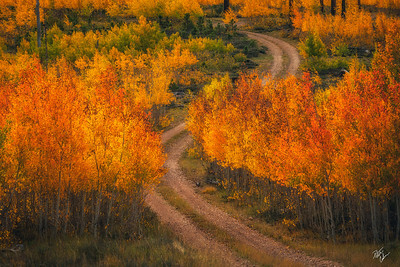 Twist and turns in a narrow forest service road take you through previously burned areas where new aspens explode with vibrant oranges and yellows. 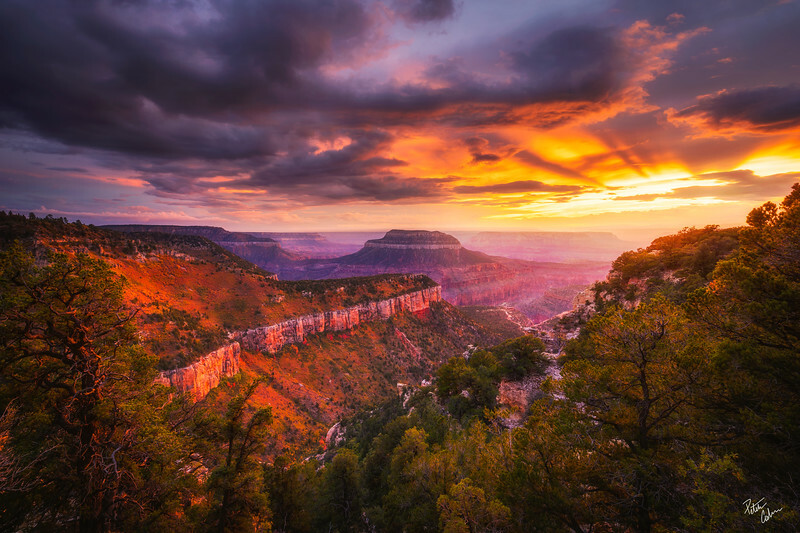 Some of the most spectacular light I have seen over the canyon as the reflected light illuminated the autumn foliage on the ridge protruding out to the canyon. 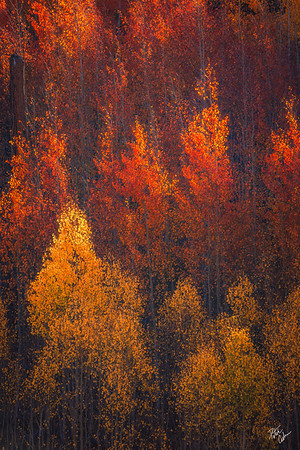 A grove of fiery red and orange aspen trees complimented by the traditional golden yellow aspens below as they catch the mornings first light. 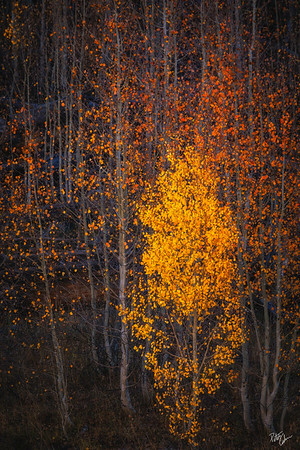 A golden aspen tree stands in front of taller nearly bare rusty orange aspens. Vibrant red aspen leaves hang on to their branches before a tropical storm makes it's way through the southwest. 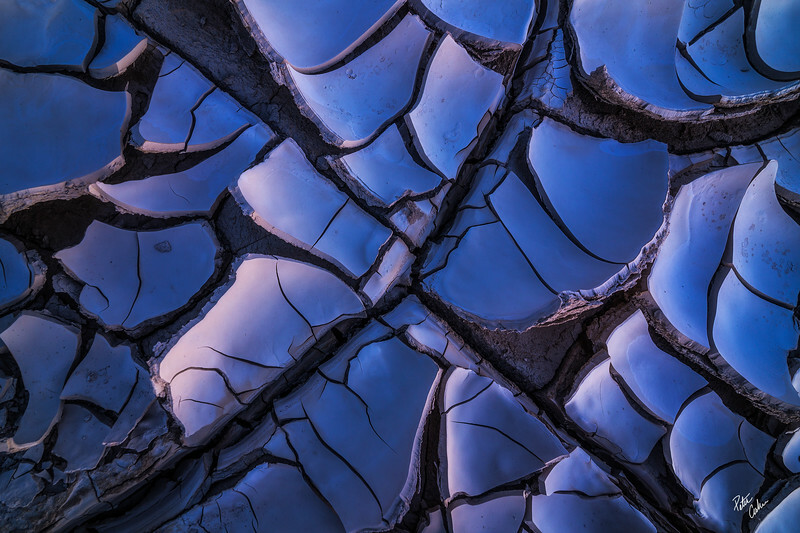 A painterly rendition of a burned forest area on the Kaibab National Forest. The young aspens were as vivid as any I have ever seen during autumn. 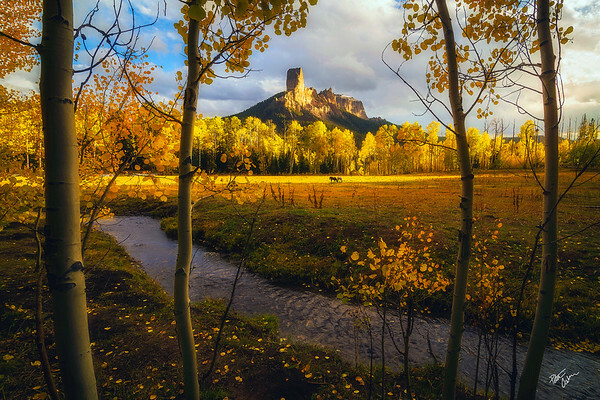 Aspen trees frame chimney rock as the sun breaks through to illuminate the peaks and aspen groves. A pair of horses (not wild) wandered into the meadow at just the right moment to create the perfect moment.